Home / Action Alerts / Call to action: Olive Harvest 2018 – Join ISM now! Like here in Kafr ad-Dik illegal Israeli settlements were built close to the Palestinian farmers land. 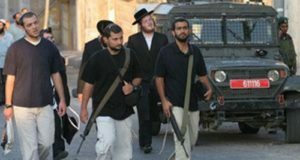 Settlers are not hesitant to harass and threaten the Palestinian families during the harvest. Tthe International Solidarity Movement (ISM) is issuing an urgent call for volunteers to join us for the 2018 Olive Harvest Campaign at the invitation of Palestinian communities. The olive tree is a national symbol for Palestinians. As thousands of olive trees have been bulldozed, uprooted and burned by Israeli settlers and the military —over half a million olive and fruit trees have been destroyed since September 2000—harvesting has become more than a source of livelihood; it has become a form of resistance. 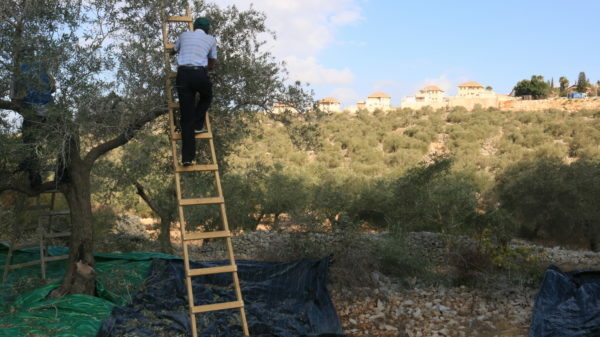 ISM volunteers join Palestinian farming communities “on the ground” each year to harvest olives, in areas where Palestinians face settler and military violence when working their land. Frequently, the Israeli administration sets farmers a very limited access and time to harvest their olives. In some areas, Palestinians face settler and military violence when working their land and harvesting their olives. Your presence can make a big difference, with Palestinian communities stating that the presence of international volunteers reduces the risk of extreme violence from Israeli settlers and the Israeli army. We support Palestinians’ assertion of their right to earn their livelihoods and be present on their lands. International solidarity activists engage in non-violent intervention and documentation:practical support which enables many families to pick their olives. The harvest will begin in early-October and run until mid-November. We request a minimum two-week commitment from volunteers but stress that long-termers are needed as well. We kindly ask volunteers to start arriving in the first week of October, so team are trained and well prepared when the harvest begins. ISM will host mandatory two-day training sessions for prospective volunteers before they do any work on the ground. Please send an email to ismtraining@riseup.net to register as a volunteer. For those who can’t make it on this period and want to help they can donate or help in fundraising money. 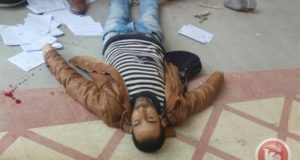 Donating will help provide funds for farmers to hire unemployed Palestinians during olive harvest; especially women with little or no other income, university students wanting to earn money to cover school fees and living expenses, graduates waiting to get a paying job or others in need. The main benefits of hiring Palestinians for olive harvest include: (1) supporting unemployed workers; (2) encouraging more Palestinians to work the land, to join their neighbours, to support the farmers; (3) getting more people “on the ground” supporting olive harvest, and ensuring a higher proportion of Palestinians to internationals; (4) enabling internationals to focus more on their special role as needed (recording, documentation, protection) versus just harvesting olives. Your donation would enable ISM to contribute 50% of each wage a farmer pays to otherwise unemployed Palestinians, which will ensure a fair wage to the workers and still be affordable for the farmers. Your donation of US$30-40 or EUR25-35 (both about NIS100-150) can pay the wages of a harvester for one or two days with the contribution of a farmer. In addition to the olive harvest, there will be opportunities to participate in others kinds of grass-roots, non-violent resistance in Palestine. ISM maintains a constant presence in Hebron (Al-Khalil), where settler harassment and violence is a regular occurrence. Lately, Israeli army violence has escalated for Palestinians living close to the illegal inner-city settlement. Israeli forces use Palestinian neighborhoods for military training, and heavily repress any form of resistance, responding with collective punishment as they lob dozens of teargas canisters and stun grenades onto Hebron’s population: even schoolchildren. With harassment, humiliation and violence a daily occurrence, ISM is present to document these extremely violent responses, and to serve as a protective presence by joining children and teachers going to school and make sure they return safely (school runs). Amongst other places, ISM practices documentation and presence in the Jordan Valley, Umm Al-Kheir (South Hebron Hills) and Khan Al-Ahmar to stand up against cleansing. 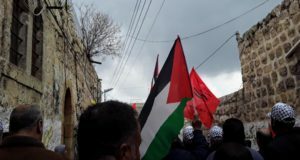 In addition to these activities, we participate in the weekly demonstrations in different regions in the West Bank, for example in Bel’in and Kafr Qadum where our presence is requested, protesters face excessive force by the Israeli Occupation Forces (IOF) and are threatened with house demolition orders, all adding up to ethnic cleansing. Other regions where ISM is asked to participate against the Occupying power’s violations of Human Rights and other International Laws is in Occupied East-Jerusalem and areas in 48.